Gentle Dentistry a dental practice devoted to restoring and enhancing the natural beauty of your smile using conservative, state of the art procedures and technology. They have locations in Adelaide. 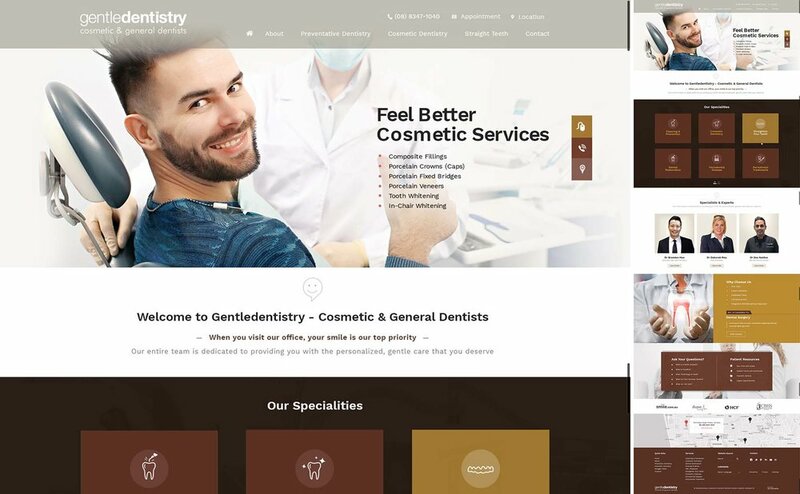 The dental website redesign need to have a contemporary design to reflect new rooms and the new group website .